Buddha Meditational Incense Sticks are traditionally prepared from aromatic herbs, Indian sandalwood and wild saffron. Particularly suitable for those who engage in meditative practices for peace and harmony. 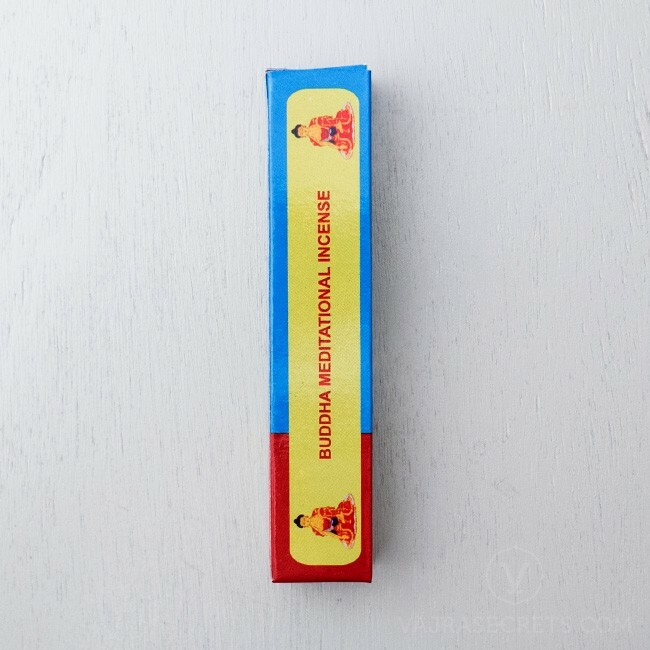 Made according to the great Indian Buddhist scholar Nagarjuna's famous twenty-seven formulas, Buddha Meditational Incense Sticks are formulated from all-natural aromatic herbs, Indian sandalwood and wild saffron, and are very refreshing for the senses. Prepared under the supervision of the illustrious Tibetan doctor, Dr Dolkar, Buddha Meditational Incense Sticks are highly suitable for those engaged in meditative practices for peace and harmony, and for ritual offerings to the Buddhas.